Military Schools Today are Most Focused on College and Life Preparation, not Military Preparation -- Learn Why – private boarding schools and boarding schools with therapy. Less than 10% of military school students are there to get ahead on a military career. They attend military school because they need an emphasis on leadership, structure, discipline, self-sufficiency, and values that a military school provides. The stereotype of military schools as feeders for military enlistment or a place for troubled teenagers is untrue today. The top private military boarding schools in the United States send approximately 98% of their graduates to college and university. They offer high standard academics, advanced placement and honors courses, foreign languages, leadership education training courses, and arts programs that make their students prime candidates for the top higher education institutions around the world. The experience of attending a military boarding school can serve a student well. Many military boarding school graduates go on to attend prestigious universities including: MIT, NYU, Cornell, Rutgers, Harvard, Penn, UCLA, UC Berkeley, UC Davis, Citadel, Norwich, VMI, Embry-Riddle Aeronautical, and the top service academies. The school environment in military schools is designed to give young adults the opportunity to develop leadership skills and character. These are skills that can be used in business, law, medicine, technology, government, military, the arts and other career paths. Graduates often forge successful careers and cite their early training as instrumental in achieving their goals. 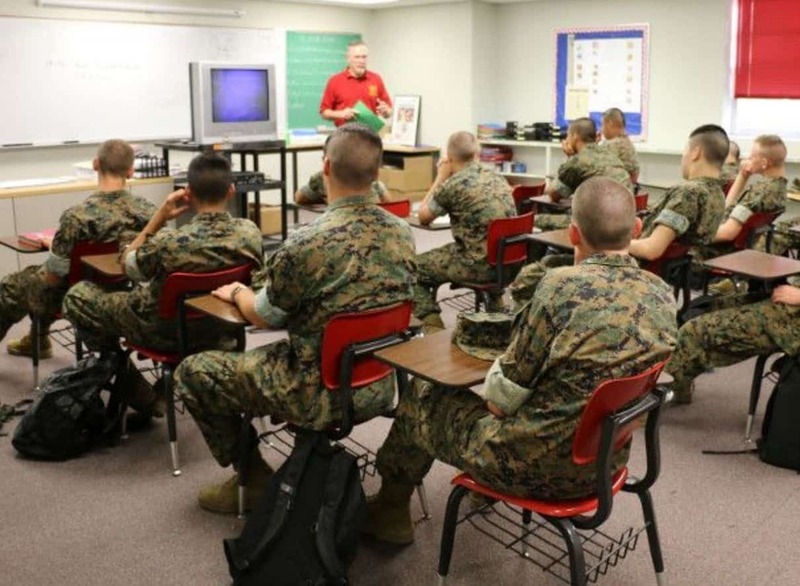 Military schools typically demand more of their students and hold them to a higher standard of conduct and accomplishment than many public and private schools – all good characteristics to be able to show in the college application process. Some are coed, while others are single gender in their focus. Cadets at military schools learn to be leaders of character who are able to assess dynamic situations, make informed and timely decisions and bring success in any environment. These are qualities that will make admission to college or university easier and ensure greater success once enrolled. They also develop teens into active and engaged citizens, prepared to give back to their families, communities, and the country. For those students whose goal is attendance at the highly selective service academies, military schools can give them a strong advantage. But most of all, a military school sets up a student for success in a future career. Graduates can show in the job application process that they have achieved formal roles as Officers in the Corps of Cadets on their list of accomplishments in high school. The military boarding structure, leadership training, and emphasis on strong academics is similar to what Cadets will experience in a career. The right military school will provide the high-standard college preparatory academics, character development, and leadership opportunities that help students succeed in the highly competitive college admission environment. Should you need help finding teenage boarding schools, affordable boarding schools, and Christian boarding schools for boys please let us know. Military schools offer structure, mentorship and a safe environment that limits distractions and temptations that can detract from academic and personal progress. Still, military schools are not always the right choice for every young person. While military schools offer structure, and academic and athletic discipline in a controlled environment, military schools are not intended to act as a rehabilitation program. Military schools want students who wish to prepare themselves for a future in a collegiate, military, or professional setting.